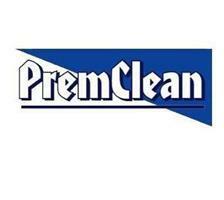 PremClean - Cleaning Services based in Wickford, Essex. My name is Robert Plant & in 2003 I started to look at opportunities to start working for myself. I decided with a lot of research that there was a market for Domestic Carpet and Upholstery Cleaning, as well as Domestic Oven cleaning. The first thing I decided was if I was going to enter into this kind of work I wanted to offer the best service I possibly could, so I went on as many courses as possible and I was finally allowed to become a member of the National Carpet & Upholstery cleaning Association (NCCA) Membership No M1792. We have very specialised equipment for the cleaning of upholstery so your sofa is only out of action for 12 hours at the most, and carpets vary on a few hours to 6 to 8 depending on the fibres. Ovens will end up like new. If you do not think I have done the most thorough clean possible then I will do it again for free or return your money. In the summer months mostly we have very powerful driveway and patio equipment to clean up those outside areas. Billericay,Benfleet,Wickford,Rayleigh,Chelmsford,Canvey Island,Southend,Brentwood, Leigh on sea.